Firehouse Antiques Center Galena, MD 410-648-5639 firehouseantiques.pt@gmail.com Delaware church sign used for bake sales. 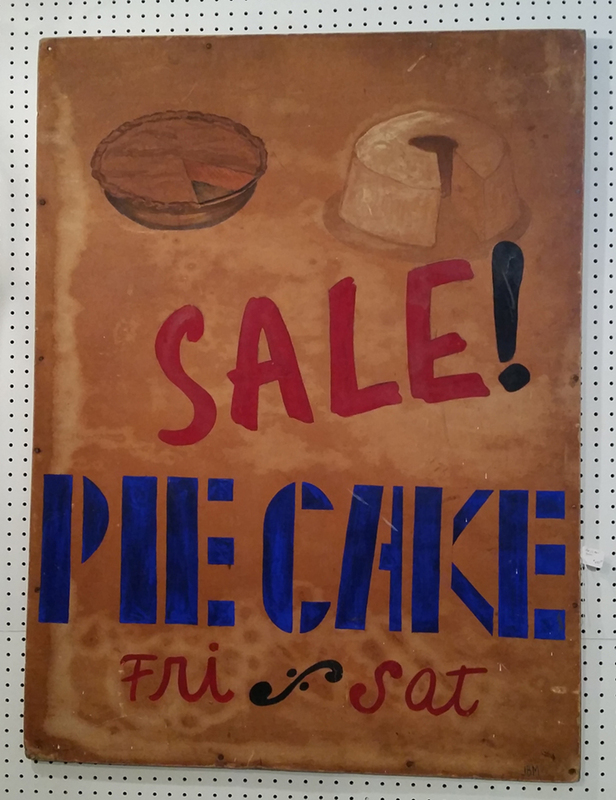 Poster paint on early poster board with wooden stretcher. 49" x 36". Circa 1930's-1940's.